Underway again! 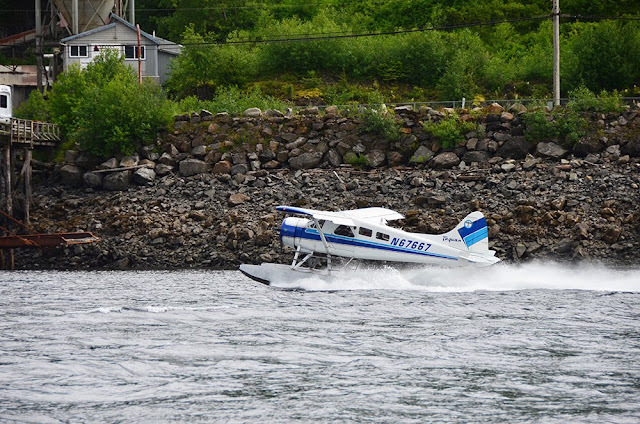 Five days in Ketchikan felt like forever. It's good to be moving again. One of the hundred or so float planes taking off in Tongass Narrows on our way out from Ketchikan. Clarence Strait can be an ugly body of water, but it (mostly) cooperated today. The wind was blowing from the northwest at about 15 knots. Just enough to coat the boat in salt spray, but not enough to make the ride uncomfortable. Our destination was Meyers Chuck, a small settlement about 30 miles northwest of Ketchikan. 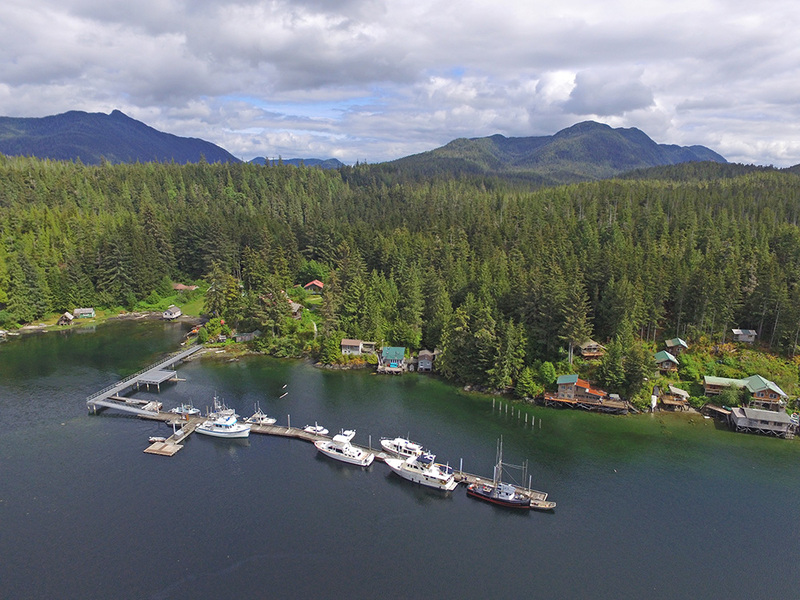 There's no real commercial activity in Meyers Chuck, just a few residents and a nice dock. Once we got to Meyers Chuck, the weather cleared up. Light wind, some sunshine, comfortable temps. We decided to do a group dinner on the dock later in the evening. 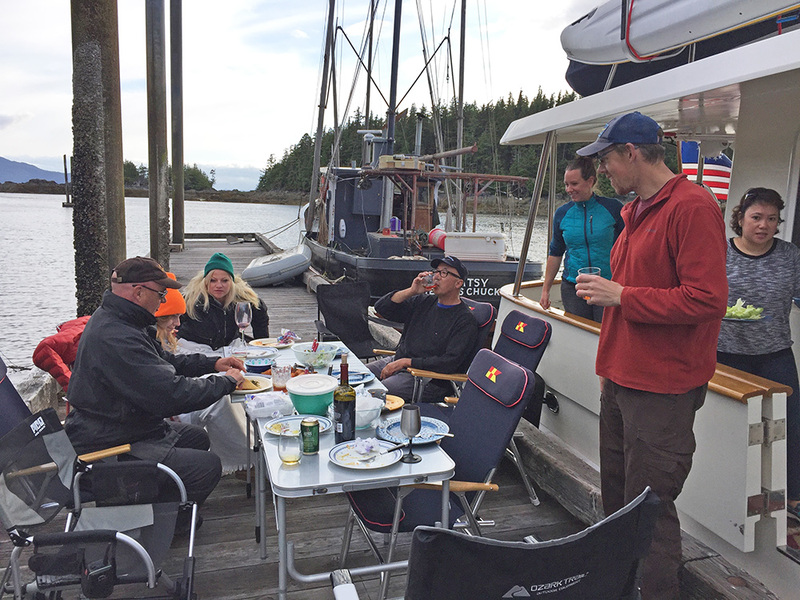 By the time dinner rolled around, the temperature had dropped and the wind picked up. Brrrr, but at least there weren't bugs. Despite the chilliness, we had a great time. Meyers Chuck is always a pleasant stop. It's very well protected—no matter what's happening on Clarence Strait, it's calm in Meyers Chuck. It also has a great dock, which though free in previous years, now costs 30 cents per foot per night. No power, no water, but still a bargain. Most entertaining, though, are Steve and has wife Cassy. They've lived in Meyers Chuck since 1961. He's 78 now, and still goes commercial fishing each summer. By himself. She bakes cinnamon rolls for passing boaters. Order in the evening, and she drops them off (still warm) in the morning. If you're passing through Meyers Chuck, order in advance by calling (907) 946-8308.